Sheffield Road Methodist Chapel. (See note below). Photo courtesy of Jill Armstrong. My Auntie Ida Mallender & Uncle Sid lived on Sheffield Road Killamarsh opposite the telephone box. My sister Jill & I were always invited to John & David’s birthday parties. Sid was on-setter at Kiveton Pit. Auntie spent her final years in the care home on Bridge Street. She was a warm generous person who would give me support & always make me welcome. 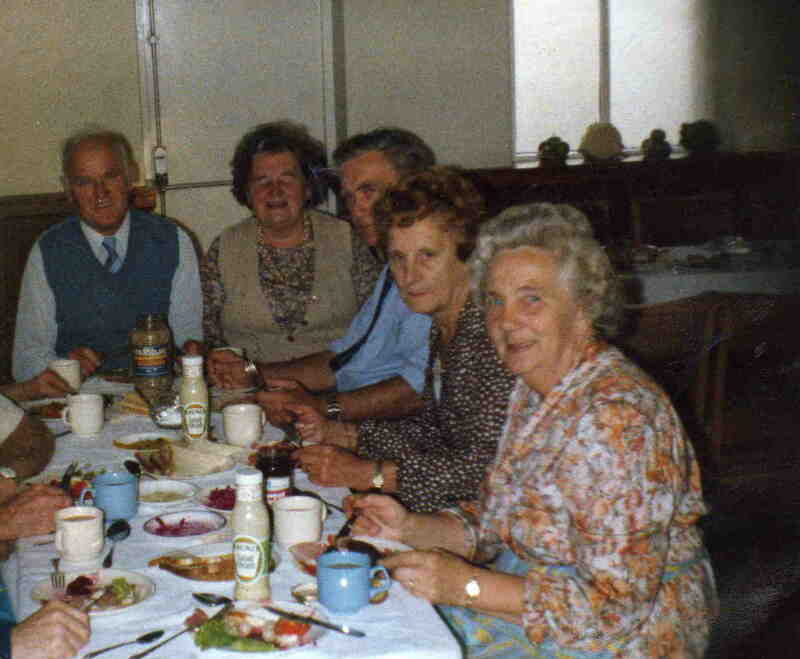 Auntie Ida worked with my Mum at the chapel tea room before she fell ill.
Left to right: Sid Mallender, Hilda Lear, Bill Batterham, Jessie Armstrong, Ida Mallender.